Posted By:Unknown | At:11:37 AM Be the first to comment! 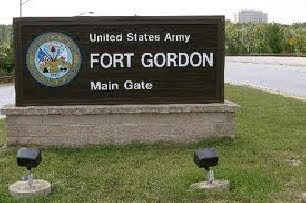 AUGUSTA, Ga. — A Fort Gordon soldier who appeared to be drunk and had been firing at passing cars shot and killed a sheriff's deputy, then committed suicide alongside a Georgia road, authorities said Sunday. Strength said Paugh was off duty and on his way home when he saw a suspicious car on the side of the road. He was shot several times when he stopped to check on the car and apparently fired two shots from his service weapon before he was killed. "He was just checking that car. He pulled over his motorcycle and didn't even get to put the kickstand down before the suspect began firing on him," the sheriff said. Authorities said Hodges had been having some sort of dispute with his girlfriend, though it does not appear Paugh knew about that.